This step is where self-confidence, commitment, and a heaping dose of nerve come together. It’s where the rubber meets the road. The key to successfully navigating this part is having a general plan of action. You need to think about how you plan to go about getting the work done. Some important points to consider include sequencing (what needs to come before what), pacing (how much can you reasonably get done in each work session), and accommodations (special circumstances that need individual attention). However, it’s equally important to keep it pretty general and be flexible as you get into the work. Rarely does your initial plan roll out perfectly all the way to the end. If there’s one thing you can count on, it’s that nothing ever goes as planned. (And sometimes that’s an innovative thing!) 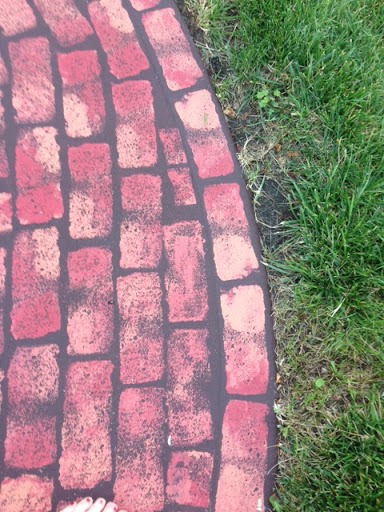 So back to my faux bricking walkway example. This is where I have to look over the space I’m going to “brick” with paint. How will I break up the space? What pattern would complement the space and add harmony and balance to the other elements it’s working with, like the flowers, bushes, hardscape, and overall look I’m trying to create? 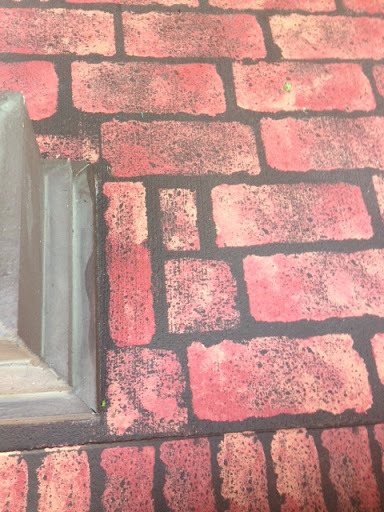 Once that’s decided, I get up my tools, pour the paint, coat the sponge “brick” with the paint and . . . stamp the first brick! I start working my plan until I reach the first stopping point to assess how it’s going. Pretty early on I notice that although most of my plan is working, there’s a couple of issues emerging. At this point, I need to decide if I need to adjust something now or just hold with the plan and see how it plays out a while longer. I decide to stick to the plan to the next stopping point and see if it resolves itself by then. And on I go. As all teachers, leaders, and coaches know, getting the plan going can give your stomach some butterfly flutterings in the beginning. Nervous, excited, focused but calm, you try to just keep your effort even and your performance consistent. But as you watch your efforts start to play out – on a class, on a team, or on an individual – it’s important to assess and adjust frequently. Is it going as planned? If not, is that a bad thing? Does it need correction or is it just a variation you hadn’t considered but it’s working well too? Sometimes it’s obvious it’s just poop on a plate; you gotta stop and fix NOW. Sometimes it’s just different, and you need some time to think about it. Either way, when the plan starts interacting with others it becomes a collaborative effort and the it takes on a life of it’s own. I’m a firm believer of going with the flow of this new collaborative effort, giving it the respect and consideration it deserves as it becomes something new. Once you’re in the creative process phase, be prepared for the new insights, flashes of inspiration, and bold new visions you’re likely to have. The work will teach you if you let it. And that’s magic. You’re going to need that new perspective for step 4 – Troubleshooting the Dilemmas and Celebrating Your Success!